Knowledge about the animal origin of food is of great importance for consumer due to the fraudulence, allergy factors or religious beliefs. 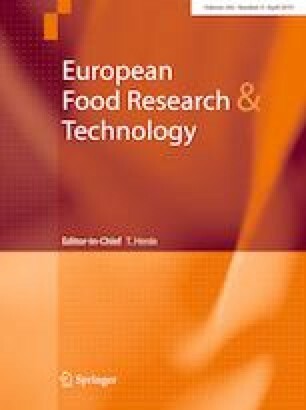 The aim of the present study was to determine possible adulteration in popular meat product sausage. For this aim, reverse line blot assay was used for the simultaneously detection of DNA from cattle, buffalo, sheep, goat, horse, camel, pig, dog, cat, rabbit, rat, chicken, goose, duck and turkey. As control probes, the catch all probe, catch all mammalian probe, catch all birds probe and as negative control Homo sapiens probe were used. DNA was extracted from 114 sausages with cattle meat in different percentage share (38 samples of each 40, 55, and 70%). These products were labeled with cattle meat, which were purchased from different companies in different batches. No declaration about the use of other prepared animal tissues was deciphered from the labels. The results showed that DNA from bovine and chicken was detected in 108 samples, whereas chicken DNA could be detected in 6 samples. The sausages containing only chicken meat could be detected in all three percentage shares (40, 55, and 70%). In conclusion, our results showed that the reverse line blot can be used for the analysis of food adulteration. The authors thank the Ministry of Science Technology and Development for financial support. Also, the authors thank the Institute for Investigating Group Molecular Biological System Transfer (MBST) for the financial and scientific support. The present manuscript did not contain any studies with human or animal subjects.